League One side Scunthorpe United are aiming to bring in a midfielder on loan, manager Mark Robins has said. The Iron, 20th in the division, have only won two of their eight league matches so far this season. 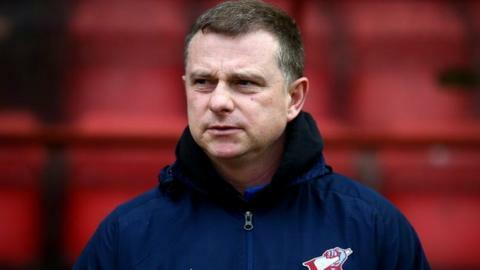 "I expect to do something early in the week and we're looking at someone coming in," Robins told BBC Radio Humberside. "If I can get one deal over the line it will be great for us and it will give us cover in a number of positions."